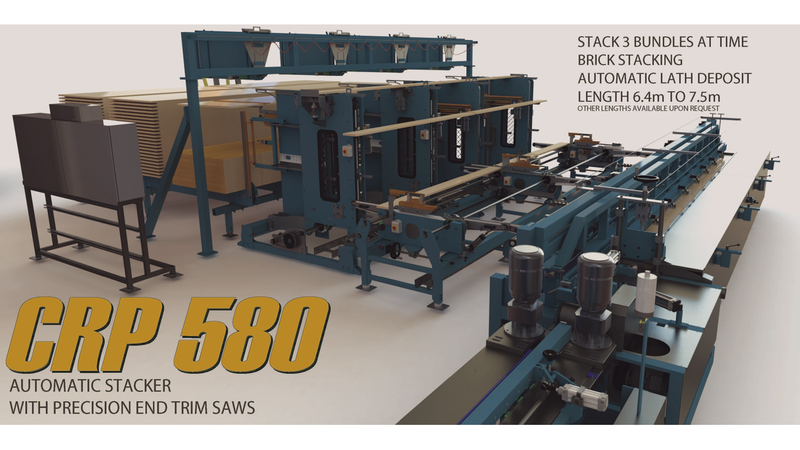 The AUTOMATIC STACKER CRP 580 is the perfect complement for a finger jointing system. It can stack bundle of jointed wood from 2m [6 ft] to any length. THe CRP 580 can be set to stack each row by crossing over the previous one. It can also place automatically a wooden lath between each row. More products from Conception R.P.